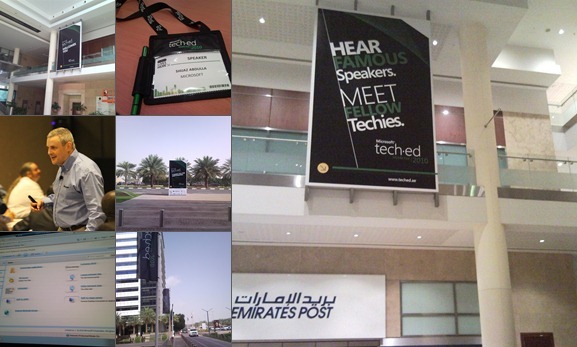 TechEd was awesome. 1500 techies under one roof. Amazing. The feedback has been amazing and for that you have my thanks. 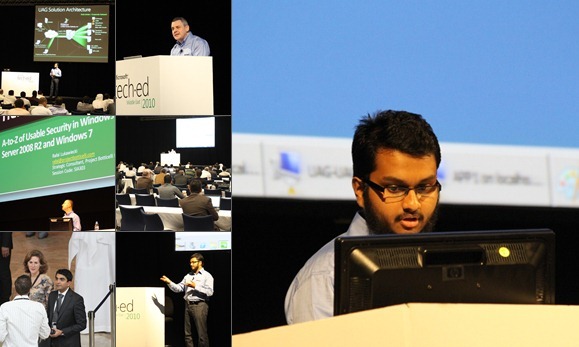 TechEd is a unique worldwide event, now running in ten locations worldwide. One thing that really stands out is its ability to bring people from different countries, backgrounds, religions together. The relationships formed both personal and business can last a lifetime. 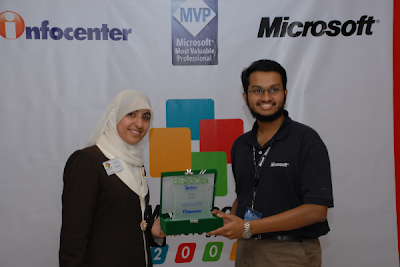 Special thanks goes to Arif, Amory and the team at Microsoft Gulf for putting together a spectacular event – which is also the first TechEd in the Gulf region. I also want to thank the delegates for attending this event and also for their feedback. UAG with DirectAccess – I will publish a step by step on my blog very soon. Stay tuned! Here are pictures from the event. 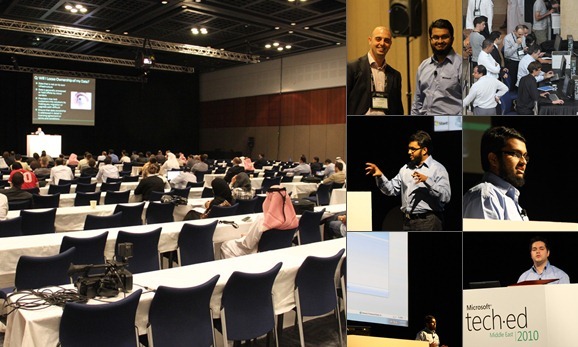 The moments below were captured by David Maskell, Security Solutions SSP at Microsoft Gulf, who is also the Security, Identity & Access (SIA) track owner at TechEd ME. I was in Atlanta, GA for about a week in July this year for MGX, an internal event for Microsoft employees. I had been to the World of Coke Museum, the Georgia Aquarium, Centennial Park and around the city. Though late, I thought I’d share a few pictures from the trip. On the Friday of that week, I went to Al Farooq Masjid in Atlanta for the Friday prayers and was amazed by the local Muslim community. It was a slightly different experience, compared to masjids in the Middle East (especially the baggage security check at the entrance!) At the end of the Friday prayers, I remember there was also a Janazah prayer for a person who had expired in that community. On 26th July I took the flight back home. I enjoyed the entire trip, and it was an truly interesting experience. 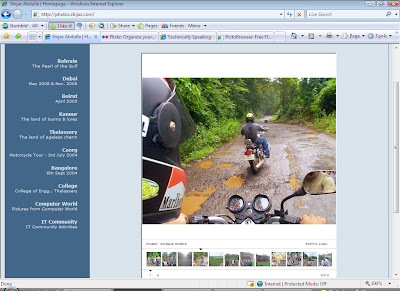 Flickr Photo Gallery on your website! I just stumbled on Diego’s Pictobrowser which is a Flash thingy that gives you a well-designed, ad-free photo browser on your homepage, with absolutely little effort. You just point it to your flickr username, and select your photo set or tag that you want to include in your page and it generates the HTML code itself. Just copy paste the code on your page, and you’re done! Next time you upload something to Flickr and it matches the tag/set you specified, it will automatically appear on the Pictobrowser you placed on your site.